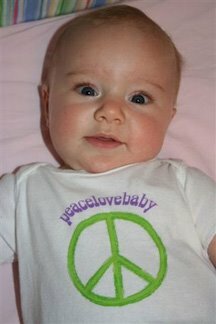 We are so happy to share our dear friends' new great niece, Ellie…wearing PeaceLoveBaby. Sooo sweet. We have been friends for over 30 years. 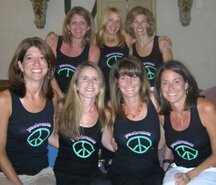 We all have a different style of parenting... but one thing is for sure, we all love our PeaceloveMom tank!!! Nancy, Becky, Bonnie, and our Memphis Gang!